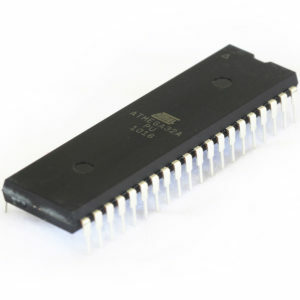 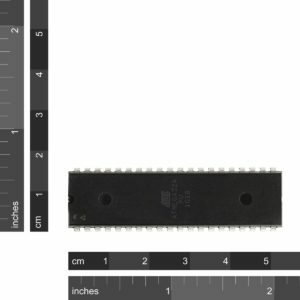 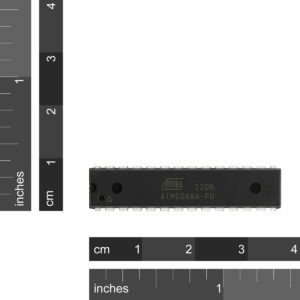 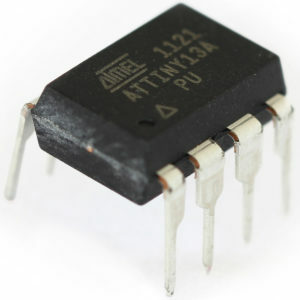 SKU: IC-ATMEGA168A-PU Category: Microcontrollers Brand: ATMEL. 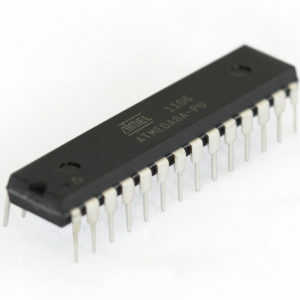 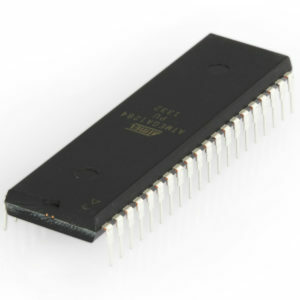 The Atmel ATmega168A is a 16K 8-bit microcontroller based on the AVR architecture and replaces the now obsolete ATmega168. 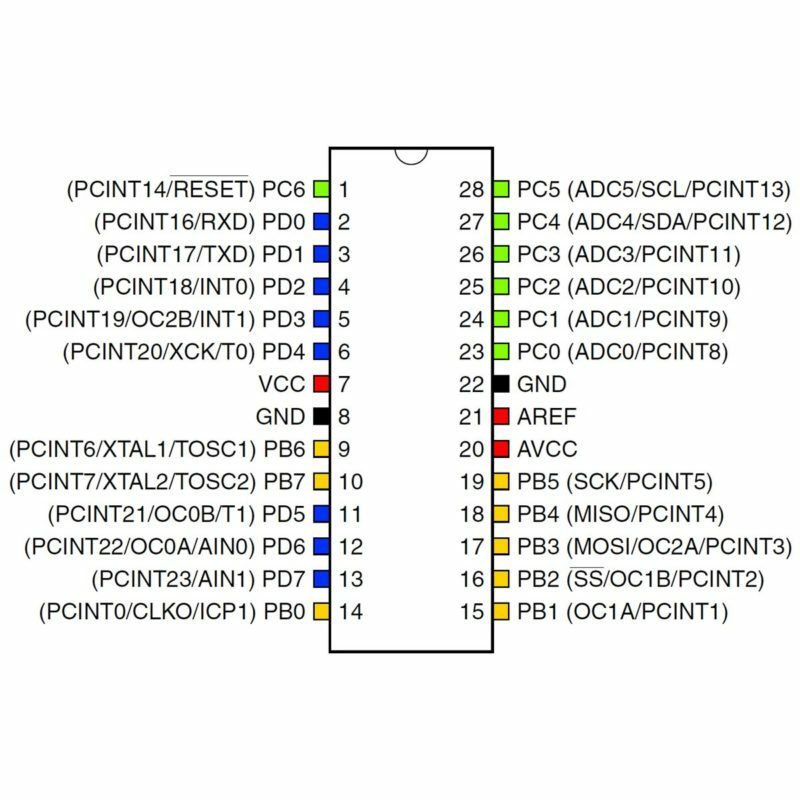 Many instructions are executed in a single clock cycle providing a throughput of almost 20 MIPS at 20MHz. 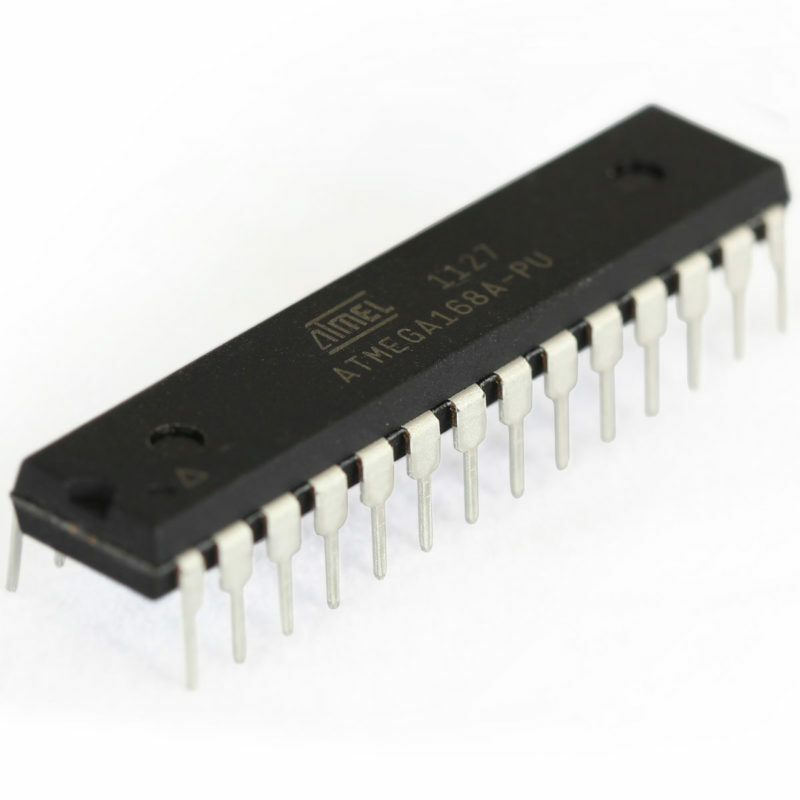 The ATMEGA168A-PU comes in an PDIP 28 pin package and is suitable for use on our 28 pin AVR Development Board. 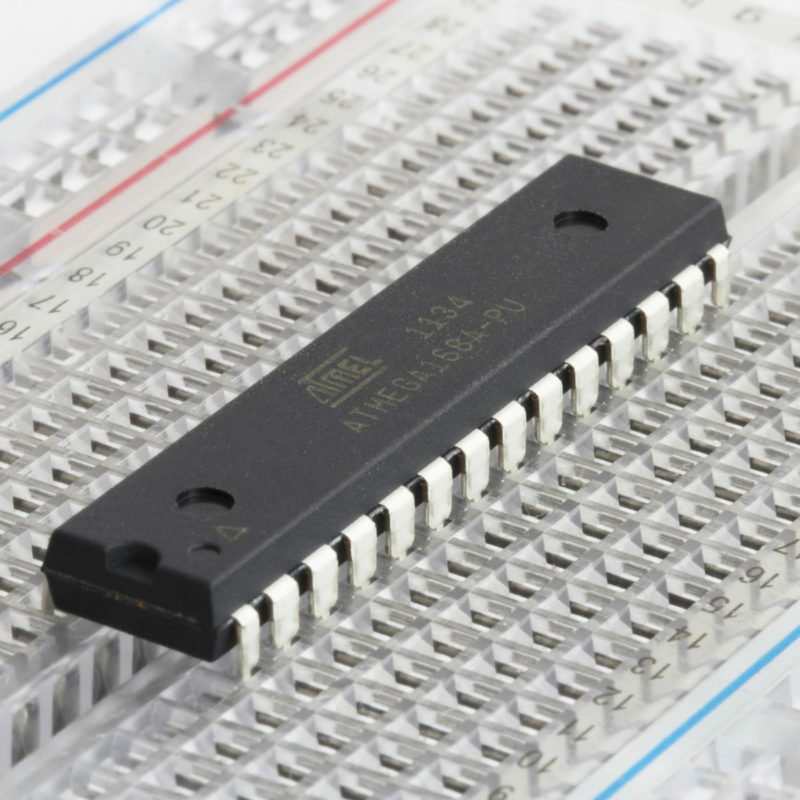 Wow – An experimenter’s dream. Great for embedded control and just plain messing around with. 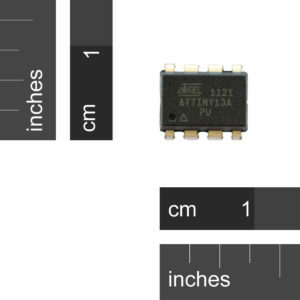 I wonder what it won’t do?